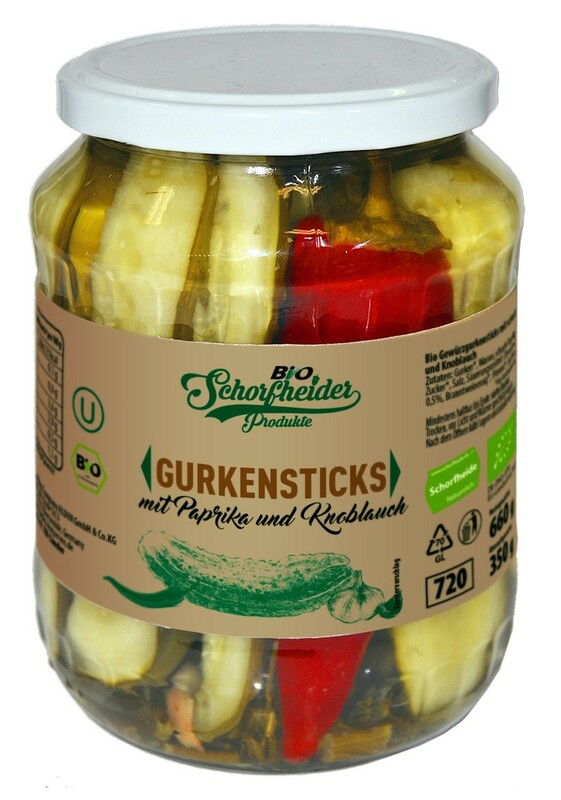 Product made of cucumbers cut into quarters, hot pepper, in sour marinade with addition of sugar, salt and spices. Pasteurized in hermetically closed jars. All ingredients of agricultural origin and additional ingredients meet the requirements EU current legislation for organic production.